How to use Psyllium Husk Powder? As a dietary supplement, add 1 level tablespoon into at least 12 oz of water or juice and drink immediately. Do not forget to drink more water or liquid during the day. Take two servings (table spoons) a day with plenty of water during your regular meal. Colon cleanser; Removes toxins from the intestines; A natural bulk laxative. Psyllium is a ‘mucilage’, a natural, water-soluble, gel-reducing fibre which is extracted from the husks of blond psyllium seeds. Water-soluble fibres like psyllium, oat bran, apple pectin, and guar gum have demonstrated an ability to lower blood cholesterol levels. 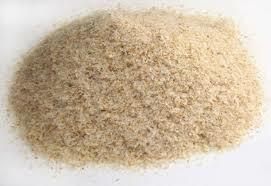 Psyllium contains 60 to 70 percent soluble fiber which is "eight times that of oat bran."